Are you looking for versatile, practical and incredibly beautiful window dressings? Perhaps a child safe alternative to blinds? The piece of mind of a lifetime guarantee? Or perhaps just the fabulous designer looks your windows and doors deserves? Well look no further, Just Shutters Window Shutters Basildon offers the finest shutters and the very best local service – call us on 01245 200 917. 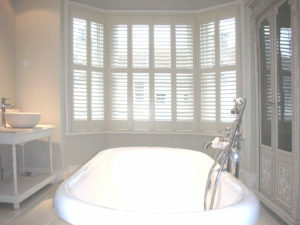 Dedicated husband and wife team Terry and Hayley Lancaster are passionate about shutters! Terry says ‘I love what I do, I just love it.’ And it shows! With an unrivalled reputation for excellence, Terry and Hayley are local experts you can count on. Couple this with the UK’s widest choice of shutters, as well as exclusive ranges; backed by our lifetime guarantee, and as a result we are unbeatable. There are so many reasons you may choose shutters for your home (or of course business), they are the most versatile and hardwearing window dressing and (in our opinion at least) the most beautiful. 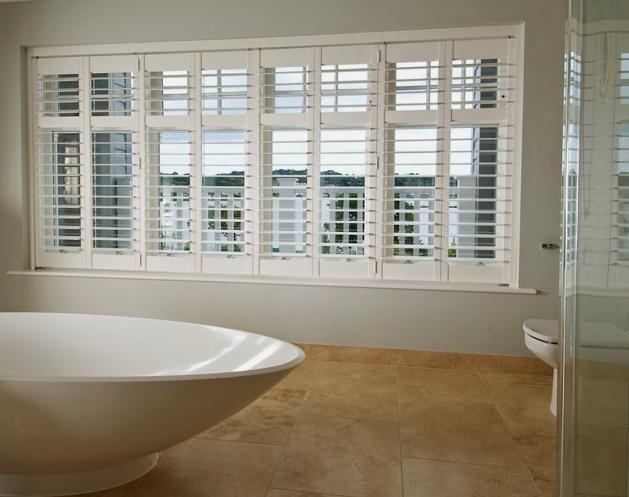 It is not often beauty combines with practicality, but with our shutters you can have the very best of both worlds. Say to maintain, shutters do not require laundering, they do not hold dust, mites, mildews or allergens like fabrics or untreated woods. Shutters are child safe with no hazardous pull cords. They offer lighting flexibility, giving you privacy together with light, ambience without glare, security without compromising the view! What is more, with Just Shutters you get a lifetime guarantee! So whether your love of shutters comes purely from their looks, or whether your choice is based on any of the above, you know that with us you can have full peace of mind for many years to come. Just Shutters offer the widest range of plantation shutter options in Basildon, in fact the whole of the UK. We have a range of materials, finishes, tilt rods, louver sizes, colours, fixtures and hinges, but don’t let the choice overwhelm you, Terry and Hayley are specialists, we ONLY sell shutters! They are are passion and we have the eye to guide you through the best options for your tastes and your lifestyle. 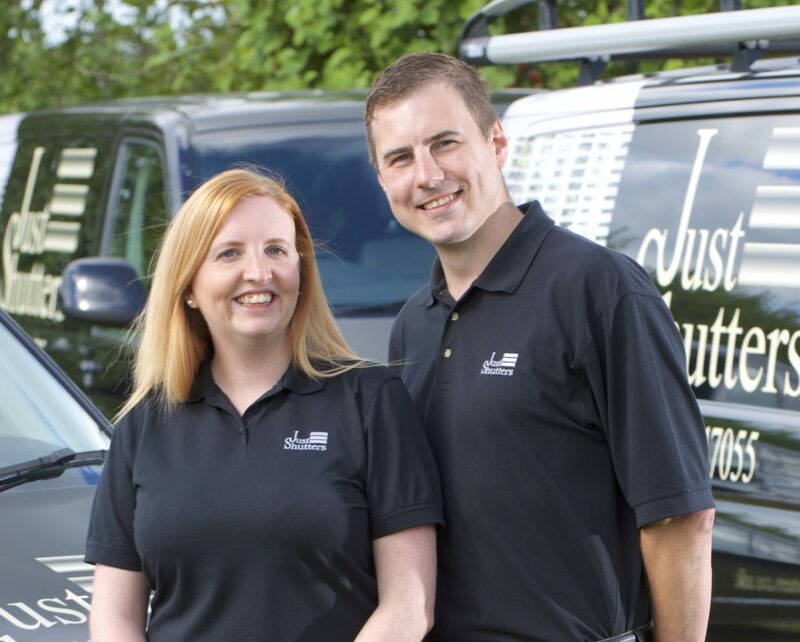 Just Shutters Essex are a local independent company owned by husband and wife team Hayley and Terry, who are part our larger, much loved Just Shutters brand family. Just Shutters have been the South’s premier plantation shutter company for over a decade, and in more recent years have expanded Northwards, now covering much of the UK. Our growth has been organic lead by our happy customers, our commitment to bringing the best products to the market and leading the way with our service and installations. We have kept the heart of a small family business with each of our local companies, while our customers are protected by things like our group lifetime guarantee and cost effective buying power. This gives you the very best of both worlds. But don’t just take our word for it, please see our customer testimonials below. We would be delighted to show you exactly why we have over 7000 satisfied customers and how we have earned our unrivalled reputation, please call us on 01245 200 917 for the best shutters in Basildon! Shutters x 2 in bathroom.